Pirates have hijacked an oil tanker off the coast of Somalia, the first commercial vessel hijacking since 2012. 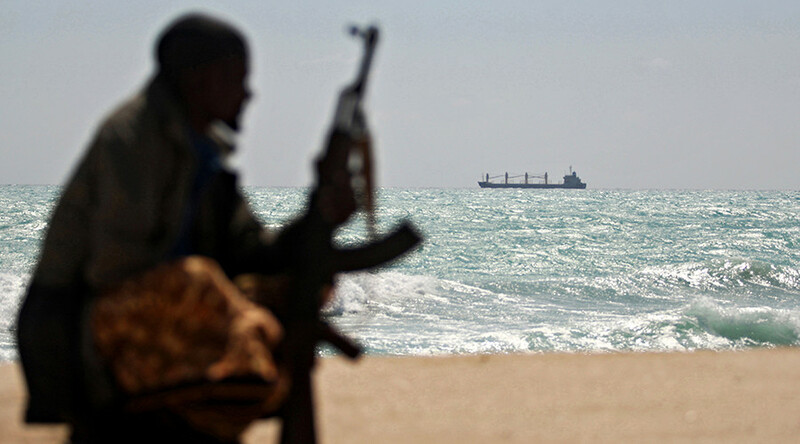 Somali officials say more than two dozen pirates have boarded a Sri Lankan flagged freighter off the northern coast. ‘Aris 13’ sent out a distress call Monday before its tracking system was turned off and its course was set for the port town of Alula. Pirates in the town confirmed they were expecting the ship, Reuters reported. An EU Naval Force spokesperson Flt. Lt. Louise Tagg confirmed the incident, adding that an investigation was underway. EU Navfor aircraft were flying overhead to monitor and track the ship’s route. The ship was carrying fuel from Djibouti to the Somali capital of Mogadishu and is owned by Panama company Armi Shipping and managed by Aurora Ship Management in the United Arab Emirates. Pirate hijacks are usually carried out for ransom, but no ransom request has yet been made. Piracy in the area has decreased from its peak in 2011, thanks to increased patrols and security along the trade route.